When the season was about to kick-off, you would have got pretty good odds on Straide and Foxford United leading the league table after the first few rounds of games, but that is exactly where they are right now, with seven points from their opening three games. You would have also probably got as long odds that the two sides who battled it out for the title last year would be in the bottom two, but once again that is what we have so far with Ballina Town propping up the table and Westport United just ahead of them. On Sunday afternoon the men in tangerine will host Manulla in a meeting of the top two, both sides have seven points from their opening three games, with Ballyglass also on seven points in third place having played four games so far. Last weekend Straide and Foxford United picked up their second win of the season seeing off Ballina Town 3-1, thanks to Paul Moran finding the net twice and John Durkan scoring the other as they came from one down early on thanks to a Benny Lavelle strike. Moran and Durkan have been in excellent form for United so far this season, with each man hitting the back of the net three times in their three outings, with Durkan scoring two against Westport United and Moran getting one against the champions in their second round game that finished 3-3. Manulla come into the game on the back of a 1-0 win over the champions last time out thanks to Conor Byrne's goal in the final 10 minutes, that win comes on the back of a draw with Ballyglass in round two and a 3-1 win over Castlebar Celtic in round one. Anthony Elding has hit the back of the net three times for them this season and will be a marked man come Sunday afternoon on Green Road. Westport United will be looking pick up their first win of the league season when they host Claremorris on Sunday afternoon, the champions have just one point from their two games to date, coming from the aforementioned draw against Straide and Foxford United in round two, with Joe Lawless and Darren Browne getting the goals that day. Their visitors are undefeated so far this season, with their 5-1 win against Ballyheane followed up by a 4-4 draw with Achill Rovers last weekend. The scoring duty has been well spread out with six different men hitting the back of the net for them in those two games, with David McCracken and Andrew Peters leading the way with two goals each so far this season. The third game in the top division down for decision this weekend is the meeting of Glenhest Rovers and Ballyheane on Saturday evening. 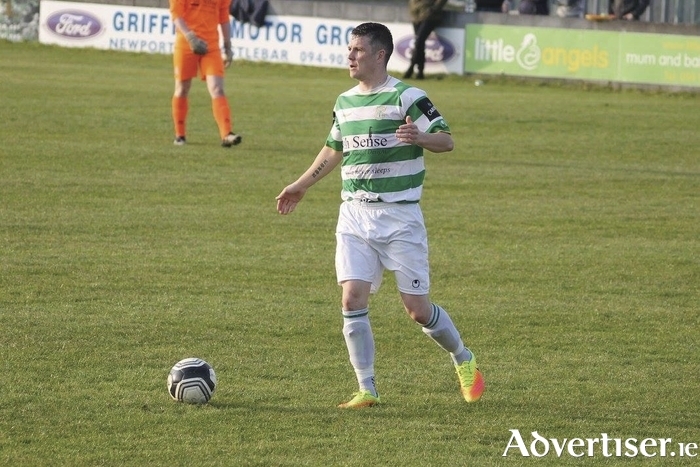 After brilliant starts for both sides which saw them win their opening round games with Ballyheane beating Achill Rovers 3-1, they have gone on to concede 13 goals in their next two outings, with Castlebar Celtic putting eight past them last weekend. Glenhest Rovers turned over Ballina Town in round one, but since then they have been on the narrow side of two tight encounters, going down 3-2 away to Achill and 2-1 away to Ballyglass. Pat Mulchrone has been in good goal scoring form for them, hitting the back of the net three times so far this season, while Adrian Leonard and David Walsh have also found the target. A win for both sides is essential as they look to reverse their losing streaks. There are also three games down for this weekend in the Premier League, with Iorras Aontaithe looking to take another step back towards the top flight when they travel to Westport to take on United's B team. The north Mayo men have two wins from their two games so far this season, while United have won two and drawn one to leave them top of the table. It has been a case of grinding it out for Iorras who have seen off both Conn Rangers and Killala 1-0 to date, while United have been equally efficient in front of goal with a 1-0 win over Ballyhaunis Town, a 2-1 victory over Crossmolina, and a 0-0 draw with Kiltimagh-Knock United their record to date. The other games are the meeting of a zero points Crossmolina and Killala who have one point from their solitary league outing this season and the clash of the bottom of the table Fahy Rovers and Swinford who recorded a 5-2 win over Bangor Hibs from their one league outing to date this season.